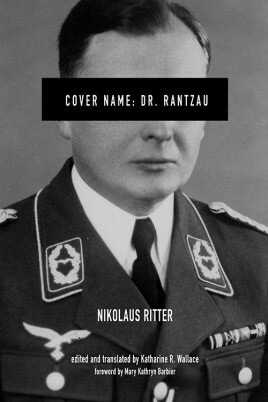 Cover Name: Dr. Rantzau is a gripping diary-like personal account of espionage during the Second World War and is one of very few historic memoirs written by an ex- Abwehr officer. Detailed is how Colonel Nikolaus Ritter, following a brief World War I career and over ten years as a businessman in America, returned to Germany in spring of 1935 and became Chief of Air Intelligence in the Abwehr. He was assigned to establish a network of agents to gather information on British and US airfields, aircrafts, and state-of-the-art developments in the aerospace industry. Among others, Ritter's cover names were Dr. Rantzau and Dr. Reinhard in Holland, Belgium, and Luxembourg, Dr. Jansen in Hungary, Dr. Renken in Germany, and Mr. Johnson in America. Throughout his service in the Abwehr, Ritter smuggled America's most jealously guarded secret, the Norden bombsight and the Sperry gyroscope, into Germany, and coordinated the planning for the invasion of the British Isles (Operation Sea Lion). Ritter was incarcerated by the British in 1945 and sent to the Bad Nenndorf interrogation centre. Katharine Ritter Wallace, the daughter of Col. Ritter, presents the first English translation of the German World War II memoir. With a combination of collected documents, correspondences, personal notes, communications with peers, and from memory, this captivating account by an espionage agent reveals an insider's glimpse of the German intelligence service and of a handler's expansive and diverse agent network.